Rabut was an illustrator for major magazines and also an expert on Northwest Indian culture and primitive art. He was known for his attention to detail and his dramatic compositions. He was an abstract painter and also involved in making animated motion pictures. He designed three U.S. postage stamps. 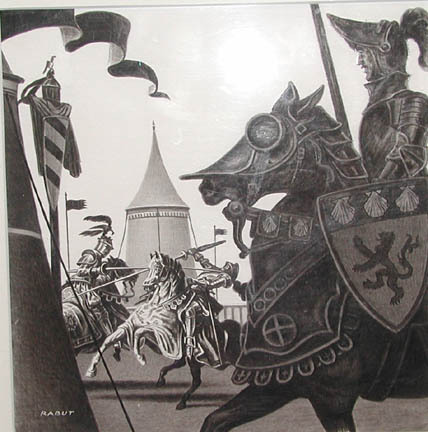 Rabut, Paul, “Jousting,” Westport Public Schools Digital Collections, accessed April 25, 2019, https://collections.westportps.org/items/show/565.